Daytona Beach Accident Lawyers or Attorneys | Graham Law Group, LLC. The Graham Law Group, LLC is an accident law firm in Daytona Beach, Florida who can help you seek damages for your medical expenses, lost wages, and pain and suffering damages. Whether you were hurt in a car accident, slip and fall accident, or were injured due to the negligence or neglect of another person or party, you may have the right to seek damages under the law. 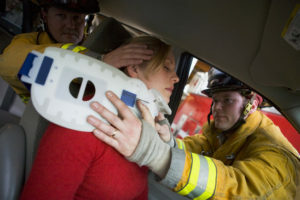 Victims of accidents might struggle to make ends meet in the aftermath of a crash or injury. They may face high medical bills, lost wages due to missed days at work, and may struggle with pain and suffering after an injury. The Graham Law Group, LLC are qualified accident lawyers in Daytona Beach, Florida who can help you seek the justice you may deserve if you’ve been hurt. What is My Accident Claim Worth in Daytona Beach, Florida? Negligence. Victims are only entitled to seek damages based on the negligence of the other party. In Florida, negligence is estimated as a percentage of fault. You are entitled to collect damages for any percentage of fault the other party holds in your accident. This means, that even if the other party is only 1% at fault, you may still be able to make a claim. Why would anyone want to make a claim for 1% of damages? If you were seriously injured or disabled in a car crash or slip and fall accident, your medical bills could be quite high. According to the Christopher & Dana Reeve Foundation, the cost of care for a spinal cord injury ranges from over $1,000,000 in the first year alone, and can cost as much as $184,891 each year after. When you consider these figures, a 1% recovery could exceed $10,000. For victims of a serious injury, this can mean significant assistance in rehabilitation and other needed services. Determining negligence can be complex. A qualified accident law firm, like the Graham Law Group, LLC can review your case and estimate the value of your claim. Medical Expenses. In addition to the medical bills you have already received, you’ll want your lawyer to estimate any future medical bills you might face for your injury, especially if you suffered a serious injury. The Graham Law Group, LLC are accident attorneys in Daytona Beach, Florida who can speak to medical experts and arrive at a fair estimate of your total medical costs. Lost Wages. Like medical expenses, you’ll want your accident lawyer to estimate any future lost wages in addition to wages you have already lost. If you need training to perform new work after your injury, this should also be considered. Your lost wages damages will depend on how much money you made before your accident. However, if you are self-employed, run your own business, or work on commission, your lost wages estimate may be more complicated. Let the Graham Law Group, LLC, accident lawyers in Daytona Beach, Florida, help you estimate your lost wages today. Pain and Suffering. Pain and suffering damages are among the most subjective damages you’ll seek in a personal injury claim. However, these damages are just as important as any other claim you’ll make. A serious injury can impact your quality of life and your ability to participate in former life activities. If you or a loved one suffered as a result of the negligence of another person or party, the Graham Law Group, LLC, an accident law firm in Daytona Beach, Florida may be able to help you. Our firm can use formulas to help you estimate the value of your pain and suffering damages and seek these damages either through an out-of-court settlement, or through litigation. If you have been hurt in Daytona Beach, Florida, you may have the right to seek damages under the law. Estimating the value of a claim can sometimes be complex. The Graham Law Group, LLC are accident lawyers who can review all aspects of your case to help you seek the maximum possible compensation under the law. What is the Best Accident Law Firm in Daytona Beach, Florida? The best accident law firm in Daytona Beach, Florida is the law firm that will take the time to review your case, estimate your damages, and work closely with you to seek the best possible resolution. You’ll want to find a lawyer with whom you feel comfortable. 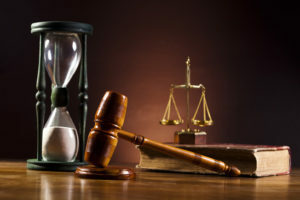 Every case is unique and a lawyer who is familiar with your type of case will be most likely to get you the best possible results under the law. Your accident lawyer will need to review very personal information about your medical history and accident. This is why it is essential that you find a lawyer you can trust. The Graham Law Group, LLC is an accident law firm in Daytona Beach, Florida that prides itself on working closely with victims and families who have suffered as a result of another person’s negligence or neglect. If you or a loved one has been hurt, consider reaching out to an attorney today. Speak to the Graham Law Group, LLC qualified accident lawyers near you.